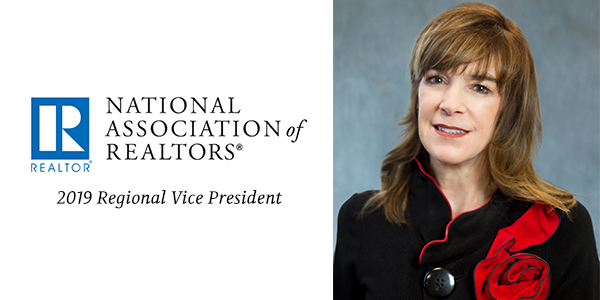 Stirling Properties’ Senior Broker Associate, Beth Cristina, ALC, has been selected by the National Association of REALTORS® (NAR) as 2019 Regional Vice President. She will oversee Region 10 which encompasses Louisiana and Texas. In her new role as Regional Vice President, Cristina will be responsible for serving as a spokesperson for the association, identifying problems or opportunities within the region, and assisting wherever possible. She will also be accountable for attending state conventions and annual meetings of the National Association and chairing the regional caucus meetings to conduct business affairs and exchange information. Cristina will join 13 other elected individuals who are appointed to administer the work of the National Association in their respective regions. Cristina has over thirty-eight years of successful experience in commercial real estate sales, leasing, development, and investments. Her qualifications include retail and office market analysis, tenant/landlord and purchaser/seller representation, marketing sales, leasing strategies, and consulting services. She has earned numerous awards and recognition throughout her career, including Outstanding Achievement in Commercial Real Estate (2011), Realtor of the Year (2010), and Woman of the Year (2005). She is affiliated with several business and professional organizations, including Realtor Land Institute (RLI); Louisiana Realtors (LR), where she served as 2015 President; New Orleans Metropolitan Association of Realtors (NOMAR), where she served as 2005 President; and Commercial Investment Division (CID) of NOMAR, where she served as President for 2000 and 2008. Most recently, she served as NAR’s 2018 Commercial Committee Chair and assumed the position for one year. The National Association of REALTORS® is America’s largest trade association, representing over 1.3 million members, including NAR’s institutes, societies, and councils, involved in all aspects of the residential and commercial real estate industries. Membership is composed of residential and commercial realtors who are brokers, salespeople, property managers, appraisers, counselors, and others engaged in the real estate industry. Members belong to one or more of approximately 1,200 local associations/boards and 54 state and territory associations of REALTORS®. Beth Cristina can be reached at (504) 620-8127 or bcristina@stirlingprop.com.